If Your Appraisal Needs are Residential. Being better than the competition is one of our goals. Our experience working with accountants, contractors, homeowners, lawyers, lawmakers, and both primary and secondary market lenders would alone assure you of timely, quality reports. Combined with superior technology, education and a team dedicated to customer service, means that once the reports are ordered you can worry about something else. What sets us apart and what can you expect? Confirmation to you that we received your request along with an anticipated inspection date and updates on any changes. A professional inspection process, which generally includes a two man crew to measure, take photos and speed up the inspection process. When we leave the home the borrower will feel confident in our abilities. Well written reports, with comprehensive explanations, based on an expert knowledge of construction practices, market conditions, appraisal law, and lending regulations. Continued education to keep abreast of the latest developments in our profession. Professional standards of the highest quality from a team whose motto is to make at least one loan processor, one underwriter and one reviewer smile each day. Bernalillo, Sandoval and Valencia Counties. 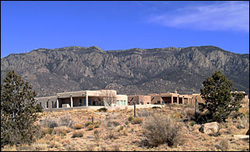 Includes: Albuquerque, Belen, Bernalillo, Corrales, Los Lunas, Placitas, Rio Rancho, Sandia Park and Tijeras. The Value of a SRA Designation For Your Residential Appraisals Needs.